I’ve established my business as a consultant, speaker, facilitator and ICF coach over the last few years. There are so many products I wish I’d used from the very beginning. They would have saved me so much time and energy, in addition to boosting my productivity and streamlining the processes I use. In this Business Tips blog series, I’m going to share examples of helpful resources for other entrepreneurs who encounter similar challenges. All product opinions are my own; no-one is paying me to promote their product. If other entrepreneurs are anything like me, they’ll use a range of services and platforms to assist in the smooth running of their business. As an example, just a few of the platforms I use for my business include LinkedIn, Twitter and Facebook for social media, Xero for accounting, Insightly as my CRM, Microsoft for my email server, SquareSpace for my website, Dropbox for cloud storage and that’s not even close to everything! Given the importance of security, most of these platforms have strict guidelines on what to include in a password, and of course it’s bad practice to re-use the same password. 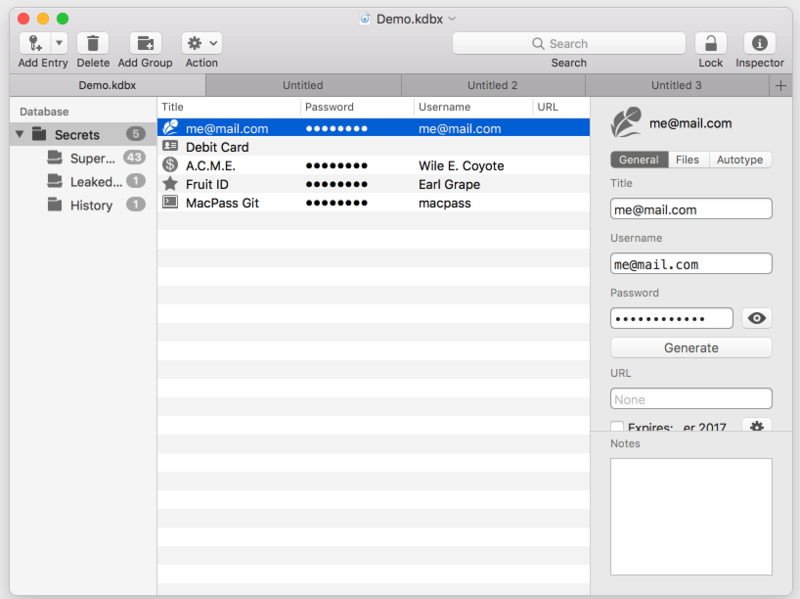 MacPass has been a brilliant tool which I’ve just started using recently to keep a record of all my passwords. (I use a Mac but the Windows equivalent is KeePass). As I mentioned, I use a large number of different user names and passwords and I very quickly got tired of trying multiple options to log in and/or having to reset passwords regularly because I simply couldn’t remember them. MacPass removed any need to depend on my memory. I created categories such as banking, social media and email accounts. Within each category, I then add each separate user name and password as required. MacPass wasn’t an intuitive programme to use so it took me a little while to figure it out. That was time well spent, as once it’s set up, all I have to do is refer to it as and when required. I use it to store all of my passwords, not just for my business.